MANNA’s ability to get 15+ million pounds of food to people in our 16 county service area depends on the health and strength of our network of local partner non-profit agencies. 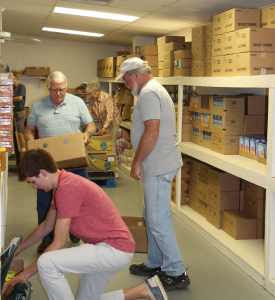 Our partners are staffed mostly by dedicated local volunteers who care enough about the communities to work to end hunger, despite having busy lives and other responsibilities. In recent years, the increased need has put a lot of additional stress on our partner agencies. Without healthy, active local organizations, the food distribution chain breaks down. 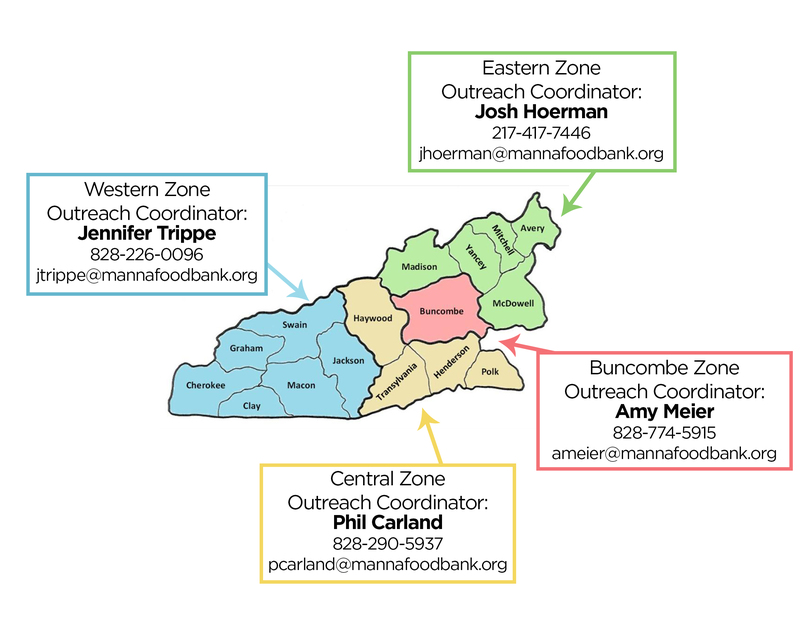 In order to address our ever increasing demand for food, WNC needs a vibrant food support network of highly functional local partners. MANNA staff realizes that partners may need support to establish the strongest, healthiest food outlet possible in terms of their capabilities to move food, maintain a volunteer base, and support themselves with financial and other resources. 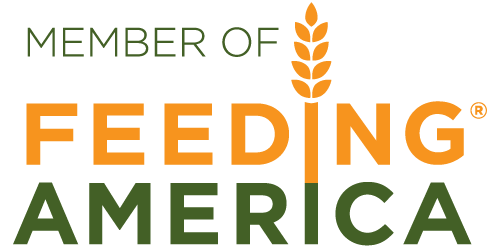 From partners across the nation, we know that connecting with one another, and being able to develop a community-based approach to end hunger can be a successful model. We want to support to our partners, throughout the MANNA network in the form of volunteers, training, organizational strengthening projects, and providing opportunities for them to connect with each other and with local resources. If you are a partner agency interested in finding out more about organizational strengthening resources, please contact your Zone Coordinator shown on the map below. Grant Preparedness Checklist – Before the grant process can begin, there is a checklist to follow to see if your organization is grant-writing-ready. Most grantors are looking for a stable organization fulfilling a particular need in the community; any partner applying will need the documentation to back that up. Emergency Planning – No one wants to disrupt the flow of food to our neighbors in need. Be sure your agency is prepared for the unexpected, whether it be short or long term. Build Your Own Webpage – This user friendly site will allow you to build a website just for your organization totally free of charge and no expertise needed! How to Write a Press Release – You can attract attention to your agency to try and increase donations, encourage volunteering and to build awareness. The Community Foundation of Western North Carolina, or cfwnc , is a nonprofit organization that works with organizations to enrich the lives and communities of Western North Carolina. They offer trainings, resources and grants to nonprofits or public agencies in our region. Converting to a Client Choice Pantry – More and more pantries are finding that Client Choice saves food, time, money and makes for happier clients. They love getting to chose the foods their family will eat; you’ll love the bottom line and the connection to families. More resources coming soon…please check back here later.